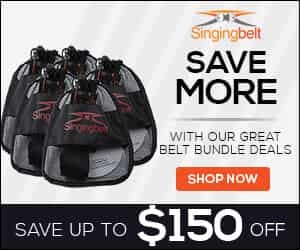 Created by critically acclaimed singer/songwriter and vocal coach Ruth Gerson, the Singingbelt is an innovative training device made of adjustable nylon straps that is worn to teach the singer how to use the diaphragm and master breath support. Its unique design targets the muscles of the lower half of the rib cage and back without constricting the abdominal wall. It helps the singer quickly understand how to maintain the diaphragm in a flattened position and keep a reservoir of air in the lungs where it’s needed. Breath support can seem mysterious, because the singer is manipulating air, which is invisible, with a muscle in the body that can’t be seen or felt the same way as the touch of a hand. Without understanding how the diaphragm works, many vocalists push and strain the voice, especially as they attempt to sustain or hit the high notes. 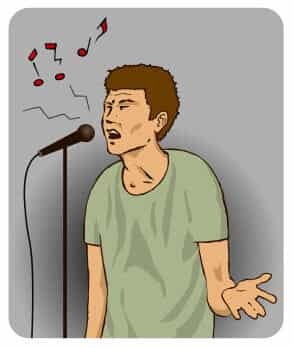 Singers may stick out their chests, flex their abs, grip the jaw or push out their bellies in an uncomfortable position. This doesn’t work. Controlling the diaphragm is easy to understand using the Singingbelt, because the singer can immediately see, hear and feel when s/he is in maintaining the air in the lungs and not giving the breath away. With the Singingbelt System and vocal warm-up techniques, the vocalist can learn to sing with a steady, even breath, in order to balance and place the voice, achieving control over the entire vocal range, improving pitch, bridging resonances and creating beautiful tone. 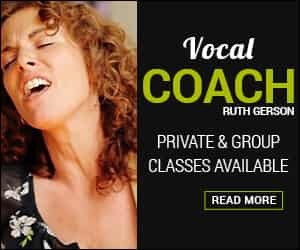 Created by acclaimed singer/songwriter and vocal coach, Ruth Gerson, The Singingbelt is a innovative device that trains singers to sing better by using diaphragmatic breath support. The Singingbelt System is a comprehensive method that instructs singers in breath support, breath placement, positioning of the tongue, mouth, palate and jaw, and ear training. Discover how to find develop and preserve your voice. The easy to follow Singingbelt Instructional DVD and Vocal Warm-up CD will help you learn to control your diaphragm while you sing, so you maintain the air in your lungs and support your voice. It will also instruct the beginner singer in proper breath placement, tongue, palate, mouth and jaw positions, ear training and how to handle diphthongs and difficult intervals. 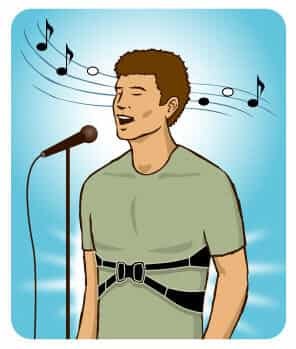 The most advanced singers will appreciate the Singingbelt, because it is like having their own vocal coach with them while they practice, gently reminding them physically how to maintain breath support. They will notice a rapid improvement in their breath support and find increased range and sustainability of notes within a few weeks or less.